It wasn’t until later in my career that I had the great fortune of working for a company that truly embraced an “open feedback” culture. I had never worked for a company that encouraged and leaned on this powerful cultural norm so predominately before. To be honest, it was a little daunting just how aggressive this type of environment can come off, especially when it’s so prominent. To add to this perception was the fact that not every employee was really great at giving feedback, even though most felt obligated to participate. This is not to say that I had never been given feedback before. In fact, just about every company I’ve worked for previously and after this experience had some angle on how great they were with “open feedback”. However, in reality, the feedback typically came from my manager in a 1:1 or as part of a review process where others would provide feedback about me to my manager. Think about that for a second. Sure, colleagues would provide feedback on projects and tasks, but rarely about my professional growth and broader impact. Mentors and coaches have always been there, and thankfully so, but their role was always about giving advice and helping me realize potential. Many organizations are waking up to the importance of things like Growth Mindset, Mindfulness, and open feedback when it comes to creating a strong culture. It’s a good first step, but without authenticity and a real examination of the existing culture and people, there is little hope for a company to try to manufacture a strong culture. Unfortunately, companies can be blinded when it comes to their inadequacies and can’t accept the core problems ingrained in their organization. I once heard a statement that “CEO’s will talk to you all day long about culture unless you’re talking about THEIR culture”. This is because when talking to them about their own company culture, it’s usually about all the things wrong with it. I applaud companies for recognizing an opportunity to improve their culture and taking steps to cultivate change. In the long run, if done with authenticity, the rewards can be outstanding. I also applaud those job seekers out there looking for new opportunities with companies that embody strong cultural norms. If you’re on one of these journeys and looking for insight into what a strong, effective, open feedback culture might look like, I’ve created a short list of good open feedback norms I’ve experienced. Do not accept politics and gossip. I had a CTO that was notorious for not allowing anyone to talk to him about another employee in private. If you approached him to “complain” about somebody else, he would stop you and find the other person to join in the conversation. This was his way of refusing to cultivate toxic office politics and gossip. The result is eventually people just start resolving matters themselves and building stronger relationships over time. Eliminate the middleman. Don’t give feedback to someone’s manager without first giving it directly to that person. This is closely related to #1. If someone took the time to give feedback to a manager, they had the time to give feedback directly to the person. It’s natural that a manager may want to hear how their employee is working with colleagues, but nothing new or surprising should come out of that conversation. As a manager, I’ve refused to listen to “feedback” about a team member without first ensuring a direct conversation had occurred. If open feedback is really a core value, nobody should be exempt from giving direct feedback, regardless of position. The whole purpose of open feedback is to help people learn and grow. That message is diluted when coming from a third party. No fear. There is an app out there that touts themselves as an “anonymous community app for the workplace”. I’m not a fan because I think it contributes to a toxic workplace given users can anonymously talk about their company and co-workers. However, I get why an app like that would be popular when individuals feel the need to vent, but don’t have the freedom and security to be honest in their workplace. An open feedback culture will never be attainable if people are fearful of being candid. No anonymity. Speaking of “anonymous workplace communities”, try not to facilitate it. Again, this goes back to the fear thing, but make every effort to encourage people to speak up and ensure they feel safe doing it. If the norm is most people wish to remain anonymous when engaging with the broader organization, you have a problem. Invest in training and lead by example. There is a ton of material out there on how to give and receive feedback?—?we’ve all heard the phrase, “feedback is a gift”. Unfortunately, this isn’t always true and I’ve gotten a ton of bad feedback in my lifetime. 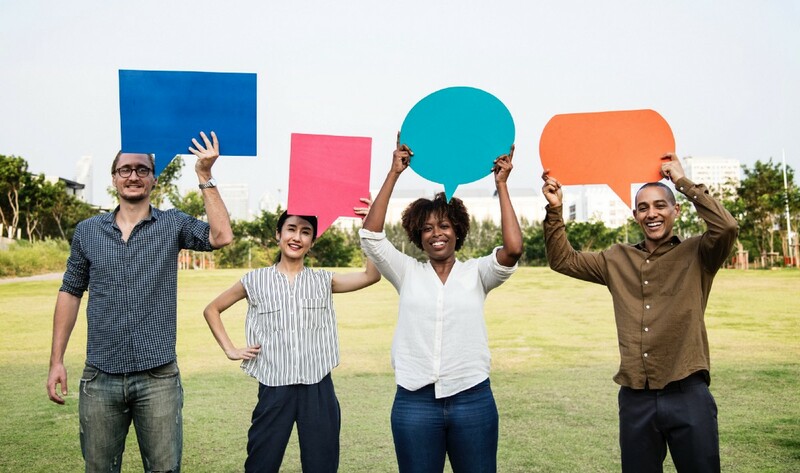 The art of giving feedback starts with knowing the difference between feedback and criticism, and what the value of an open feedback culture means to individuals and the organization. Leaders should actively take part in these training sessions and openly share their experiences with good and bad feedback. Feedback should be immediate. Try to take advantage of giving feedback sooner than later. Any real impact or results we want to get from feedback is lost if we wait too long. Encouragement and praise are very powerful. Often feedback is associated with negativity even though it shouldn’t be. This is because companies may not have done a very good job of training their people on what feedback is and how to deliver it. The fact is, that some of the most powerful feedback is positive and encouraging. The best experiences I’ve had with feedback, giving or receiving, have always had a very positive feel. This is regardless if the underlying message was, “you need to be better”. Maybe this is more about inspirational leadership than anything. But, it doesn’t hurt to start trying to craft your feedback messages in a positive, inspiring light. Steve Kerr, head coach of the Golden State Warriors, has this approach down. Here’s the rub?—?your culture is only as good as your people. The advantages of an open feedback culture are possible when individuals have the self-awareness and mindset to participate effectively. That’s just a roundabout way of saying the majority of your people should not be asshats. There are other cultural and organizational factors to consider, but I’ll save some of that for later posts. I think the main thing to take away here is that these are very simple changes to make. Regardless of the size of your company. If you’re part of a small team in a large company you can start doing all of these things TODAY and sharing your experience with other teams. That’s how change happens.